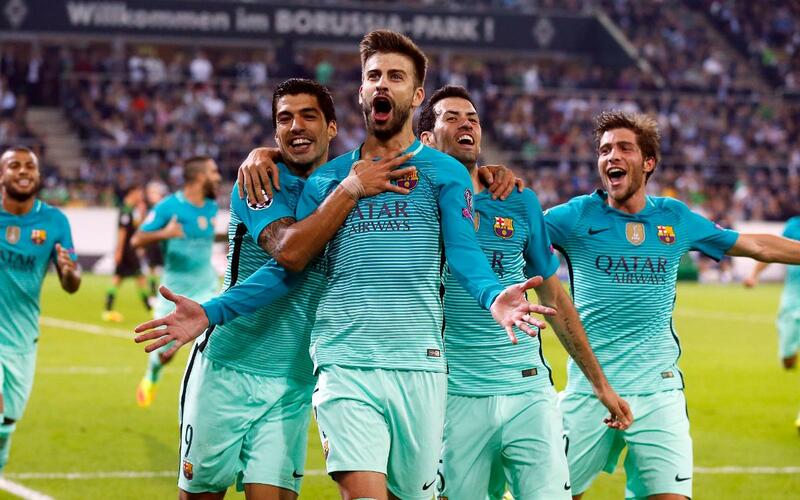 Gerard Piqué has become one of the highest scoring central defenders in FC Barcelona's history. His two goals in last weekend's defeat to Celta were further proof of his goalscoring instinct and his fighting spirit. It is the first time he has scored twice in the same match for Barça and it is his third goal in succession following his goal in the comeback against Borussia Mönchengladbach in the Champions League. Since Piqué's arrival in the 2008/09 season he has scored in all nine campaigns he has taken part in with a total of 35 goals for the Catalans proving he can provide the finishing touch even though he is a defender. The bulk of these goals have come from set-pieces with 23 of the 35 coming from corners making him a potent attacking option from dead ball situations. He has scored fourteen times from headers, highlighting his prowess in the air, and his ability to get to the second ball before anyone else. His offensive contribution against Celta has reinforced his undoubted fighting spirit and ability to score goals, making him the third highest scoring defender in Barça's history behind Alexanko with 42 and Ronald Koeman with an incredible 90 goals.